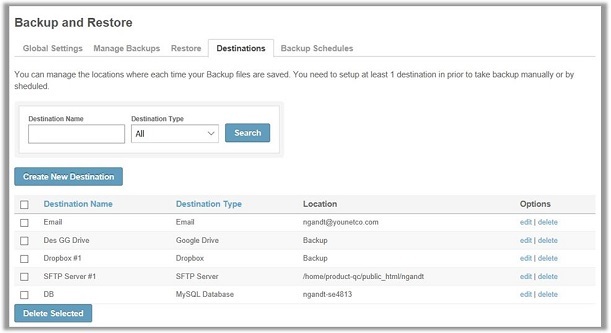 We are so pleased to announce that Backup and Restore plugin is officially released now! As you see, websites aren’t safe since many things could go wrong from hackers, server crashes, malware, user errors, accidentally deleted files to dangerous commands, etc. You certainly need to have a solid backup plan for your SocialEngine community. Keeping that in mind, we developed the Backup And Restore plugin to help our customers feel more peaceful when knowing their sites and content are entirely safe. 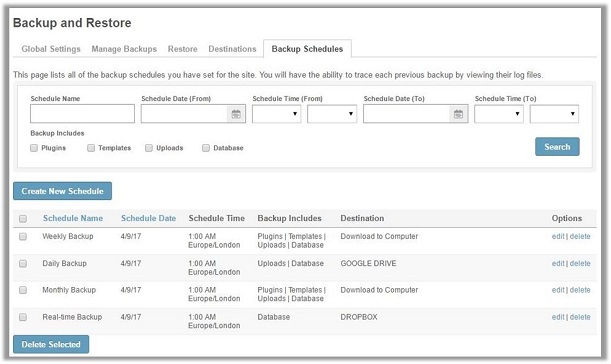 Backup And Restore is a complete SocialEngine backup plugin with automatic scheduling support. Your site will be backed up continuously based on different pre-set schedules (every 4 hours, every 8 hours, every 12 hours, daily, weekly, fortnightly, monthly). You may as well conduct it manually anytime. Saving data to a separate location makes far more sense. 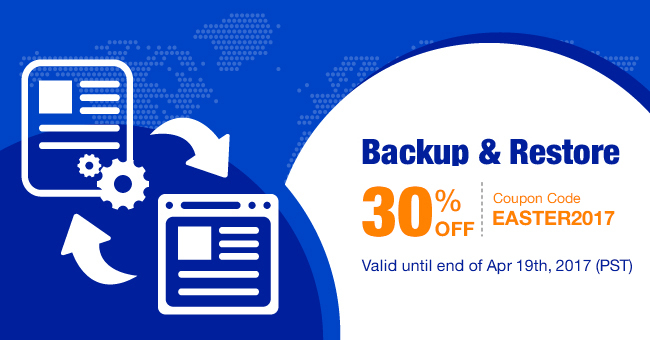 Backup and Restore plugin provides you the ability to backup your site to different cloud storage of yours, such as Dropbox, Microsoft OneDrive, Google Drive, Amazon S3, etc. and even send backup to configured email addresses or download to your computer as well. Restoring a SocialEngine community from backup is also very simple – just select a file and click a button to begin restoring in only a few minutes. 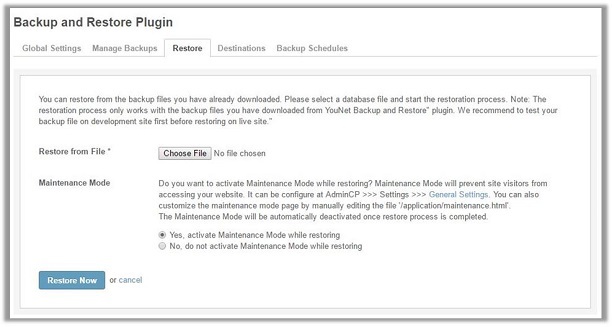 Backup and Restore plugin enables you to restore any backup to your current site, or to an alternate test site. PROMOTION: Kindly notice that we are running as well an EASTER promotion for all our products until the end of 19th Apr 2017 (PST). Apply the EASTER2017 coupon code to get 30% OFF when purchasing our products. Don’t miss this chance to buy this plugin or our other products for your SE community! Hope that you will be satisfied with our Backup and Restore plugin. If you still have any queries, feel free to contact us, and we’ll get back to you in soonest. Please stay tuned with us, as new more exciting updates will come very soon.